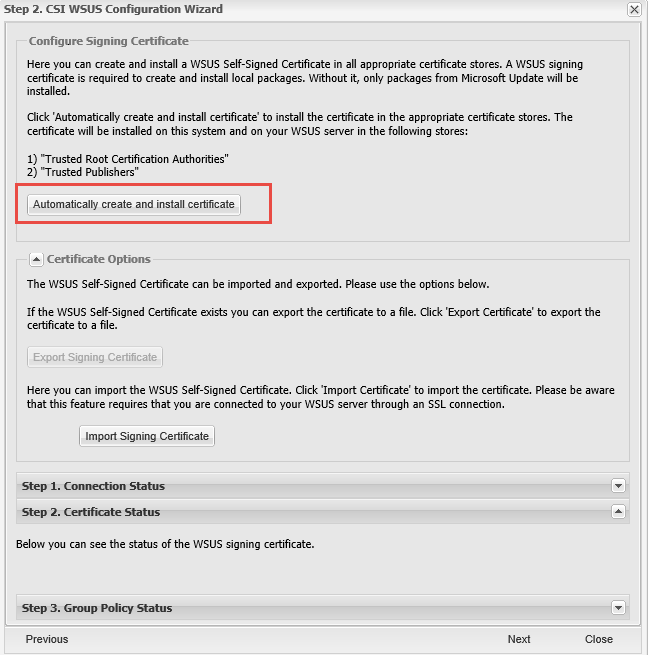 Lately I have been doing some Secunia integrations with System Center 2012 R2: Configuration Manager (SCCM/ConfigMgr 2012). 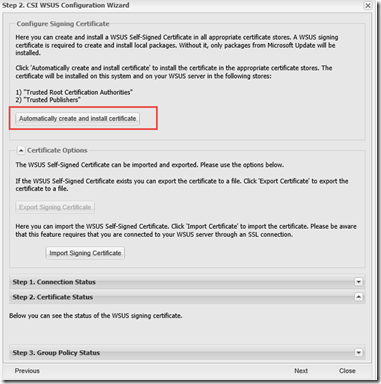 When you are setting up the connector between Secunia CSI and WSUS one of the first things the wizard is asking you to do is to Configure a WSUS Self-Signed Certificate, the WSUS signing certificate is required to create and install local packages. Without it, only packages from Microsoft Update will be installed. 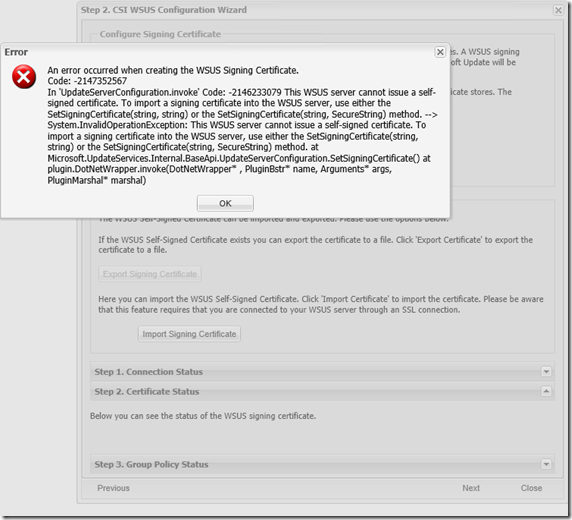 Now this error would probably not appear on Windows Server 2012 or earlier editions and the reason why is that Microsoft has disabled the feature in Windows Server 2012 R2 (the platform I am using). 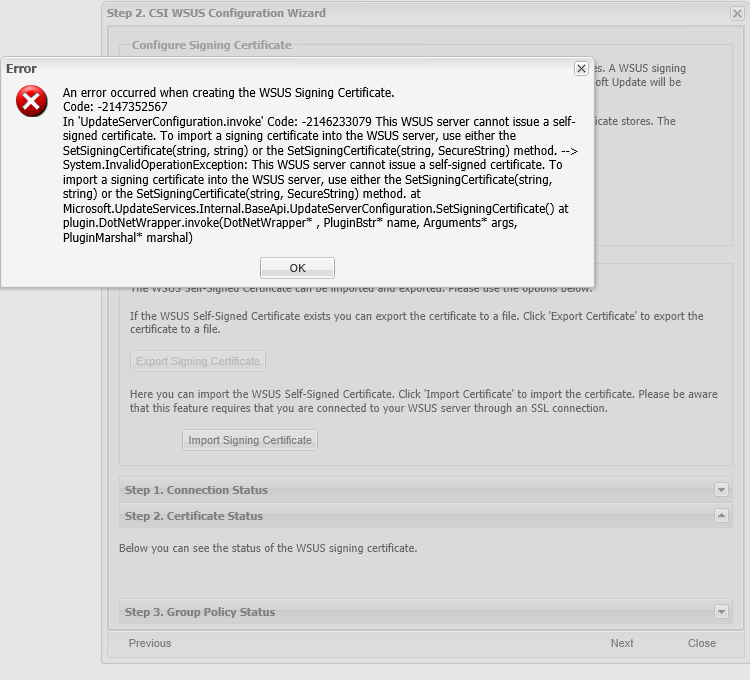 This is because and I quote (The WSUS Product Team) “We disabled this feature because it was causing a significant management burden for those using the feature, and it duplicated functionality that already exists in Windows Server Certificate Services (and other products)”.